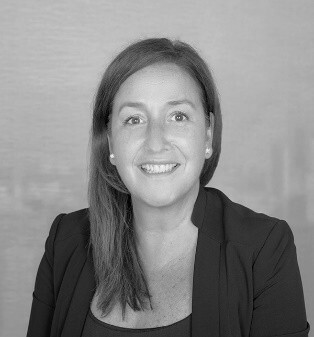 Christina Beja is a Senior Vice President in Ernst & Young’s Transaction Real Estate practice based in Toronto who recently celebrated her one-year anniversary with the firm in September. Prior to joining EY, Christina was Senior Vice President at Infrastructure Ontario (IO), leading the Realty Portfolio Planning group. At IO, she was instrumental in providing a wide range of services supporting the modernization initiatives of the provincial government. Christina is a seasoned professional, with extensive experience leading teams focused on strategy, planning and reinvestment, portfolio optimization, identifying future needs, and developing pipelines of divestment properties. Her experience involves senior management roles advising public sector clients such as ministry organizations with large specialized realty portfolios, including judicial courts, correctional facilities, youth detention facilities, and laboratories across Ontario and Canada. As a supporter and driver of transformational and modernization initiatives, it is not without reason that Christina continues to be acknowledged and recognized as a champion and leader for city-building and real estate decision-making. She became involved with ULI Toronto and its Women’s Leadership Initiative (WLI) within the same year. Drawn by the city-building perspectives offered by a wide range of professionals, Christina was interested in the collective network to showcase and leverage others’ experiences. To her, ULI Toronto and WLI offer a source of industry best practices and are vast networks of perspectives based on core principles of city-building, real estate, and infrastructure. Remarking on her 20 years of experience in the industry, Christina saw ULI as an opportunity to connect wide-ranging perspectives to the same issue. Christina has been highly regarded for her leadership, having been named a WLI Champion for several consecutive years. She also sits on the board of the Canadian chapter of CoreNet Global and is an associate member and former chair (2017) of the National Executive Forum on Public Property (NEFPP). She has completed executive leadership programs at the Rotman School of Management at University of Toronto and at the Schulich School of Business at York University. Christina often tells others that she “fell into real estate.” As a new grad holding a BA in Political Science and Economics from Bishop’s University in Lennoxville, Quebec, Christina was in search of a bilingual opportunity which led her to the real estate group within the Canadian National Railway Company. Garnering early support from senior management and building relationships within the organization as well as outside of the organization, she gained exposure to different aspects of real estate. Subsequently, Christina joined Ontario Realty Corporation (ORC), which was then merged into IO in 2011. While her interest was predominantly on the land and development side, Christina began to steer towards strategic portfolio planning. At IO, she was provided with an opportunity to expand her expertise by dealing with diverse portfolios that went beyond the corridors and railyards of her previous CN experience. Moving to EY was an opportunity for Christina to continue to share the knowledge she had gained in her 20-year career with a different set of clients. “In developing a career, it is not always about having to go up, it can sometimes be sideways then up,” she explains. Embracing her role as a strategic advisor, Christina recognizes the importance of mentorship and relationship-building to learn from one another’s experiences. In one of her initial previous mentoring arrangements, Christina found that she ended up gaining more valuable experience than she had expected. She was in awe at how articulate, focused, and disciplined young women in today’s industry can be. She now stresses the importance for young professionals and young women to understand social networking and encourages them to speak to people outside of their comfort zone. For early career professionals, women in the real estate industry, or young professionals, she espouses the importance of authenticity. Those around Christina will agree that she is a leader that backs up her words with action. “Do not change who you are; but adapt to your environment,” she says. There is value in being unique. Christina is a big supporter of Toronto and lives in the Beaches neighbourhood. In her spare time, she enjoys following her daughter across Ontario to attend swim meets.